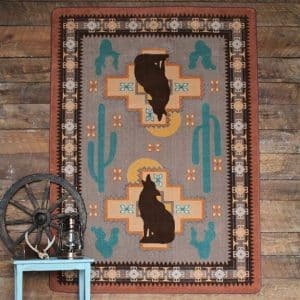 Rolling Water area rugs by American Dakota is part of their New Echota collection. 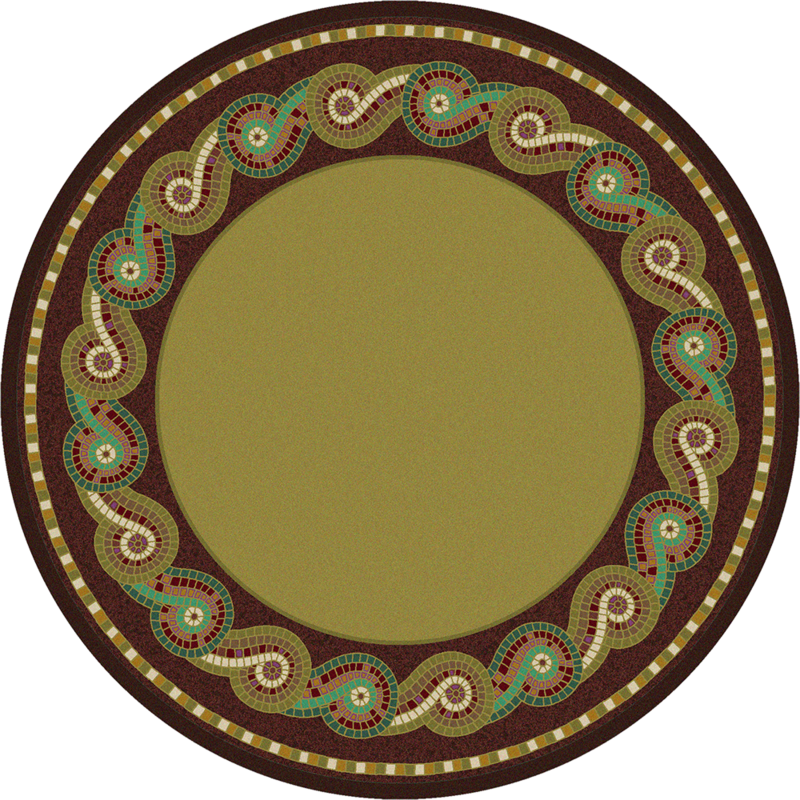 The swirl is the Cherokee symbol for life-giving water. You will also find this pattern on the tribe’s casino floor. 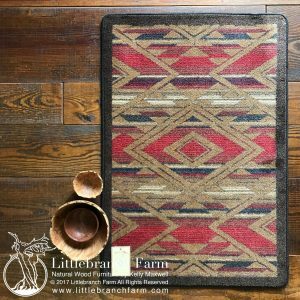 The sales of these rugs benefit the New Echota historic site in Calhoun, GA. This design is a good choice to recreate a spa-like bathroom. 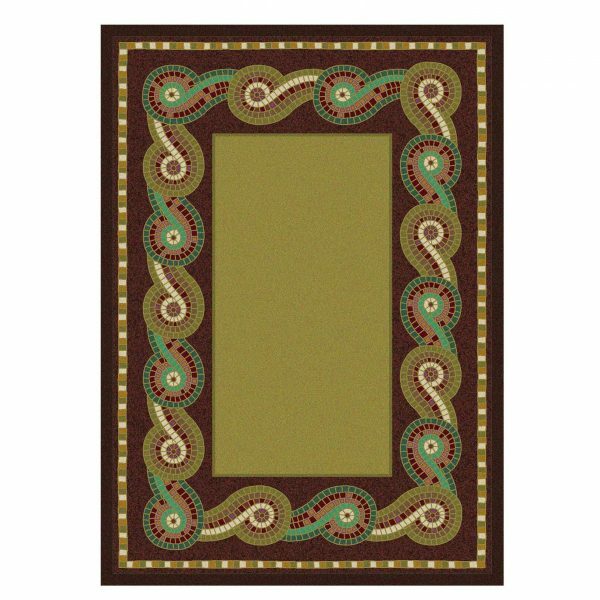 The chocolate border and muted green center will match our rustic vanities perfectly. 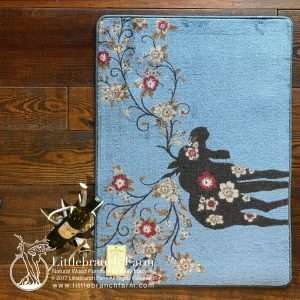 Depending on how big your space is you can pick from 3 different dimensions 3×4, 4×5, or 5×8 For a smaller bathroom, the 2×8 runner is the right size.